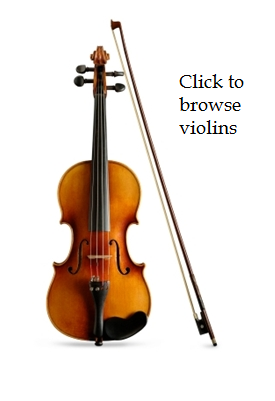 The violin is the best-known and most popular of the string instruments. You play the violin by drawing the horsehair of the bow across the strings, causing the strings to vibrate. The hollow wood body of the violin amplifies the string vibrations, making the famous violin sound. You change the notes with the fingers of your left hand, in effect shortening the vibrating length of the string. A violin is sometimes called a fiddle — they're the same instrument, differing, some say, only in the kind of music you're playing. Violin is one of the most expressive musical instruments, capable of producing hauntingly beautiful and emotionally-charged sounds, from slow and sad to high energy and exciting. Violin is the lead instrument in classical orchestras, but it's played in lots of other musical styles too: jazz, folk, bluegrass, country, rock and roll, etc. It can be played in large groups or small, from full orchestra to rock and country bands to small string ensembles to solo. Violin isn't a hard instrument to play — it just takes some practice. Here are some of our favorite violin tips and tricks and violin performance videos. Violin is a lead instrument in the orchestra. Violins can play in all kinds of music groups, from classical to rock to country to bluegrass to hip hop. 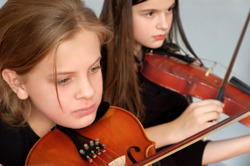 Violin is fun to play in string duets, trios, quartets, and other ensembles. Lots of great music is written for violin. The violin is easy to carry. Violinists get to sit in the front of the orchestra. Once you learn the basics you can also play electric violin with lots of new and fun sounds. With practice violin isn't difficult to learn. Amro offers violins for sale and rent in Memphis, Nashville, and surrounding areas. 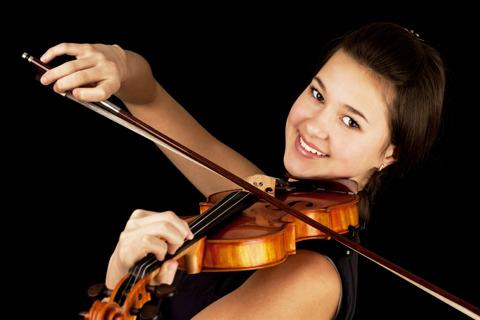 Call one of our violin experts for more information!